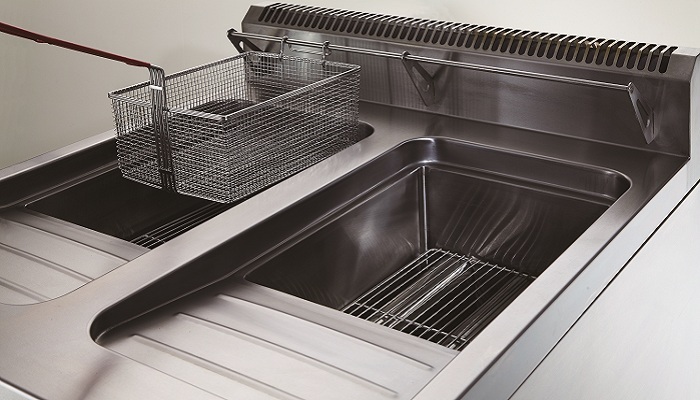 The base panel is made with SUS 430 1.0 mm thick stainless steel. The edges of the panel and the oil-guide section are built with stainless steel that is pressed into a curve. There are no corners, and is easy to clean. 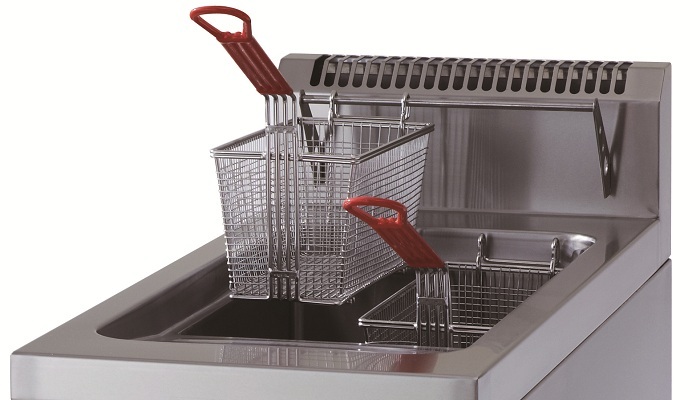 Elliptical tubes in the deep fryer increases heating speed and comply with international standards. An explosion-proof system is used for the gas switch: gas pipe diameter is 3/4” and pilot is ignited by Piezo ignition. Piezo-ignited heating nozzles provide even and stable heating. 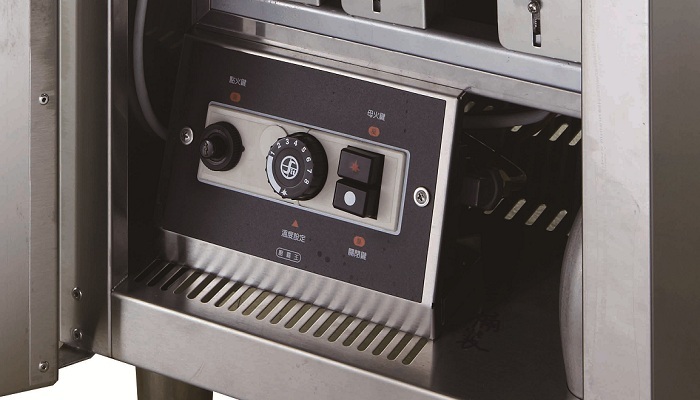 Electrics Fryer Comes with magnetic contactor, power switch, temperature control and indicator lights. The doors are made of double layer (interior and exterior) SUS 304 stainless steel. Aesthetic door handles are designed to prevent foot injury. Deep frying temperature: 100~200°C; an overheating protection device is provided. Comes with four adjustable feet and a mesh board.